Hope you are doing good in your trading. 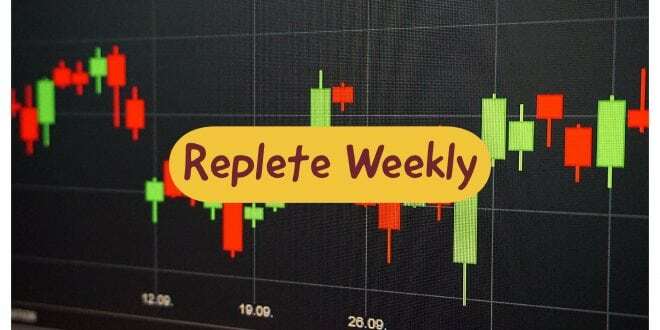 After a long time m starting again, my weekly analysis of Nifty & Banknifty along with some Option Strategies which we need to keep on the radar for the coming weeks. As we all can see, Nifty is forming a Long Bearish candle followed by a doji at 61.80% retracement level, which indicates that nifty is losing stream of its upward move. but as it’s is trading above it’s 55 & 144 day moving average so overall trend is still up. These averages indicates that 10800 level is now a make or break point for this expiry. Now we are looking at Open interest data, Highest open interest stands at 11000 CE followed by 11700 PE & 11400 PE. PCR at 1.33 which is also an OverBought region. 11000 is a very strong resistance level, which looks difficult to break as per the current chart pattern. If we analyse Weekly chart of nifty, we will find that Nifty is trading in 200-250 points ranges from last 10-15 weeks. This week too we can plan out trade based on 11000-11800, this 200 points range. if we are holding any long position it’s time to book our profit or hedge your position with some PUTs. Remember always Downside movement is much faster than Upside movement. So always keep your backup plans ready for any situation. As we are moving near to our General election 2019, volatility must be very high incoming sessions or weeks, so keep your risk management must be on high side. 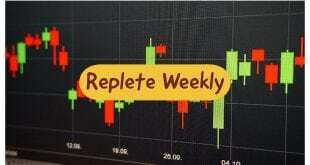 This Week Banknifty Opened at 26974, made a high of 27589.75 and closed at 27294.40. A good 500 Point move in one direction. but last two days we saw some profit booking and getting a doji candle at the last trading day of this week. 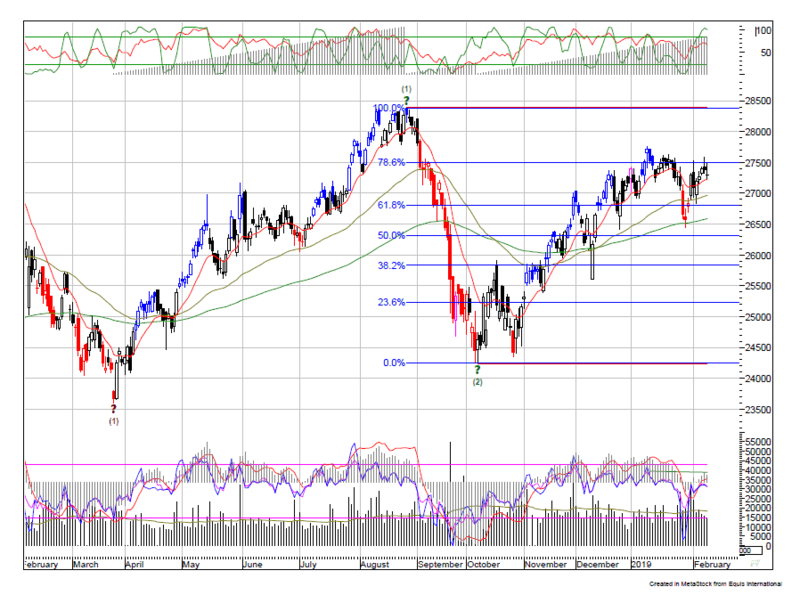 No doubt overall trend is up but facing resistance at 27500 which is also a 78.6% Retracement level. 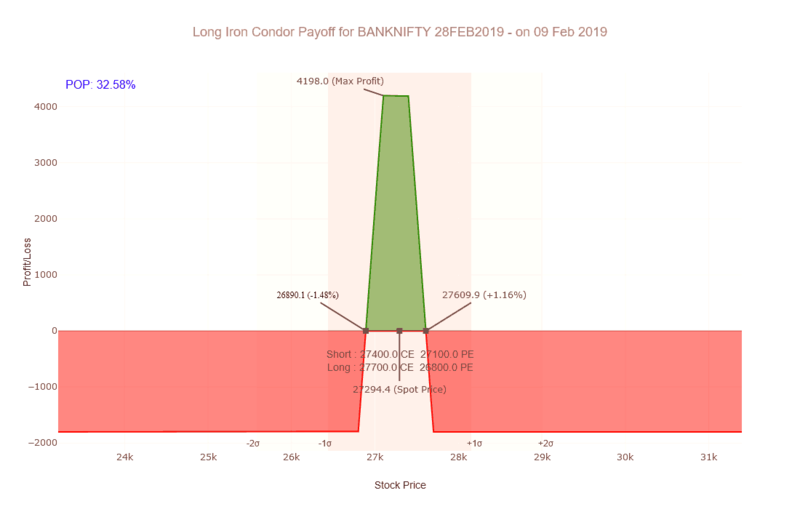 Right now Banknifty is not giving any clear indication of neither on buy side nor on the sell side, so stay neutral and eat premiums should be our trading strategy. 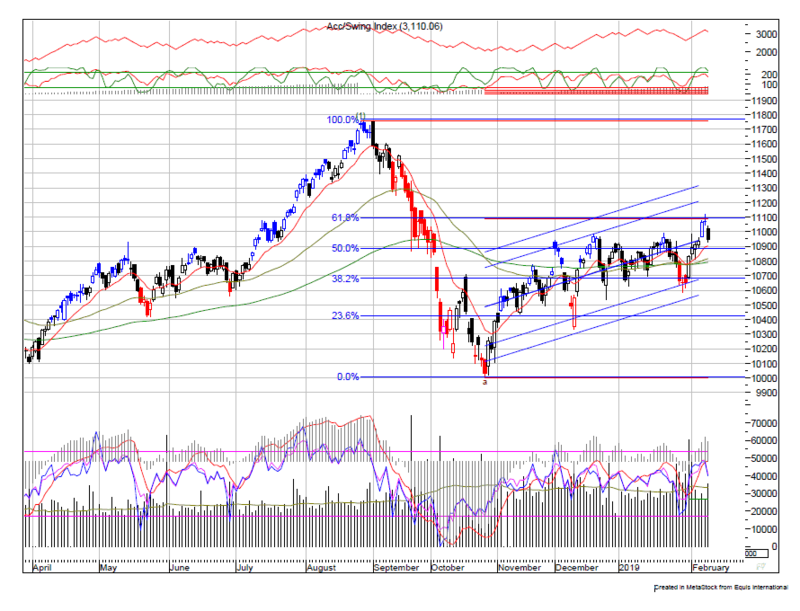 27200 & 27000 are the levels we need to keep on the radar on the lower side. 27500 is our higher side level. 26600 will act as stop loss level for this upside movement. We can expect a new bear rally only after a breakdown at 26600 levels. As per the open interest data, 27500 CE & 2700 PE has the highest open interest on monthly expiry, this should be our Trading range for coming weeks. If you need More real-time assistance on these strategies, Can open a trading account with us and you will get real-time assistance on every month on these hedging strategies. Click to connect on whatsapp. I wish you profitable trading. Not a good time to get into a bear call spread. Price is still above the trading range. RBI cut repo rate. Price could gap up. Therefore, a defensive Bullish Spread is suitable. Yes, it could happen, but if we are looking at the payoff chart, we found that we are not loosing till 11000, our loss will start only above 11000 level. But as you see right now nifty is still facing a good resistance at 11000 level, we may expect some more downside movement or some consolidation for quite some time. Both the situations will be in our favour. 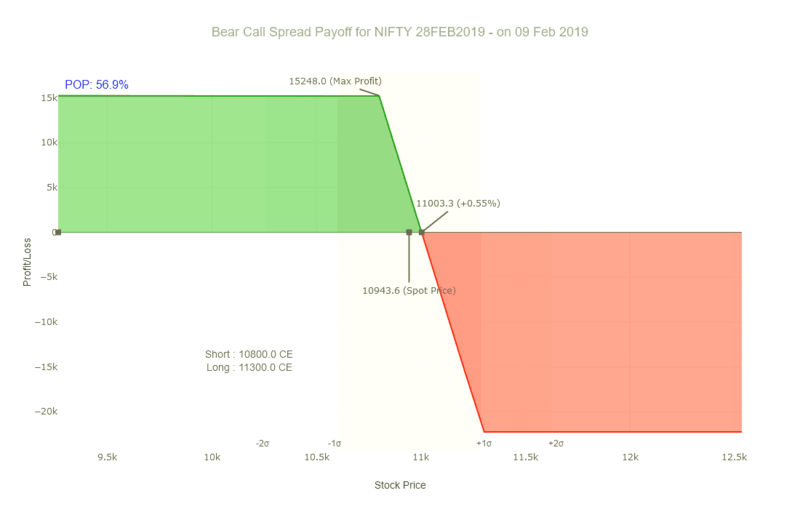 And if nifty start moving above 11100, we may adjust our position or can book some loss and close this position which is also at a favorable risk management rule.